A Fine Line features work by four contemporary artists based in Scotland - Lizzie Farey, Angie Lewin, Frances Priest and Bronwen Sleigh. 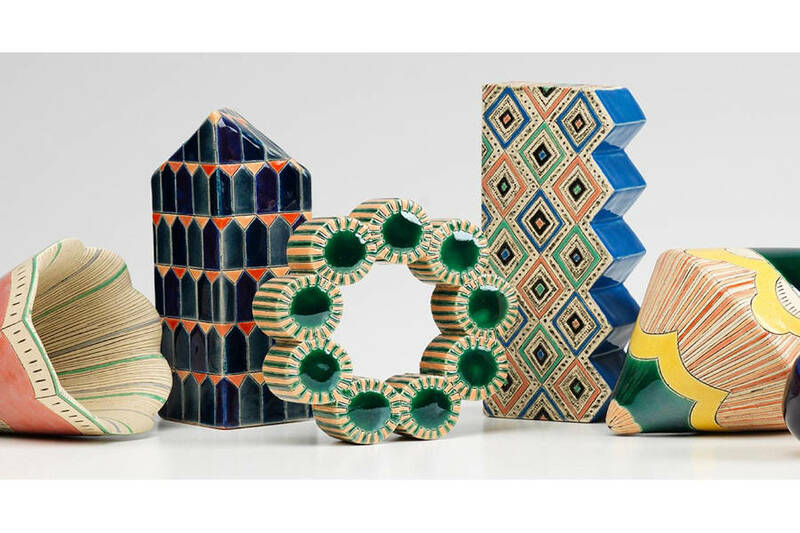 This group exhibition explores the fine line between art and craft in two and three dimensions, bringing together a diverse range of disciplines including printmaking, drawing, collage, sculpture and ceramics. The exhibition will tour to Gracefield Arts Centre 19 May - 7 July 2018.